I discovered a trove of never-before published photographs, made during the course of other projects that begged to stand on their own. 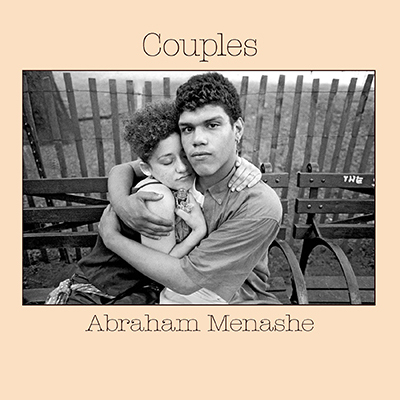 Couples is a collection of thirty-seven black-and-white photographs that offer a view on the diverse world of relationships. Within its confines (photographed mostly in public parks), we find conventional and unconventional couples in moments of flirtation, romance, primal attraction, fear, sorrow, exploitation, exhibitionism, uninhibited passion, and devotion. The series begins with teens flaunting their budding sexuality and ends with an elderly man laughing with his bedridden wife in a hospital room. In between these two, we meet lesbians, transsexuals, homeless, and handicapped couples. I looked at how pairs are bound to one another—how they sit with, lean on, hold onto, and embrace one another—how they fit together, and recorded the unique life force emanating from them. To be touched by another being (even a pet), and journey with them (however briefly), is a most sacred privilege. It is an experience that every human is gifted with at least once in a lifetime—whether they are rich or poor, intelligent or slow-witted, refined or vulgar, small or large, healthy or ill, young or old. Through relationships we face our heart—its rich and exhilarating grandeur, as well as its painful limitations, as it seeks to find its stride and beat with another. These photographs put a face on the human desire for connection, paying homage to partners, lovers and loving. 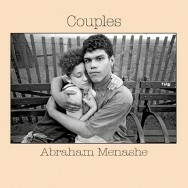 Couples, by Abraham Menashe, available from iTunes.